Located in the South of Lanzarote around half an hour drive or 35 km from Arrecife airport in the sunny resort of Playa Blanca lies this superb all-suites 5 star hotel. 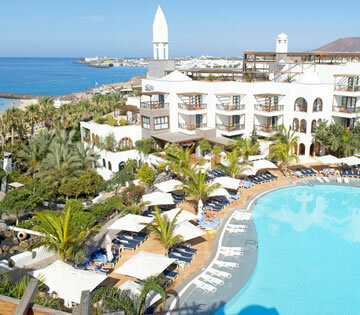 The luxurious Princesa Yaiza Suite Hotel is in our opinion the most outstanding hotel on the island of Lanzarote. The hotel has an enviable setting in front of the Playa Dorada beach with direct access via the promenade. This hotel provides an idyllic Lanzarote holiday with its lovely setting offering beautiful unspoilt views of Los Lobos Island and Fuerteventura. The Princess Yaiza Suite Hotel provides 254 suites, 59 junior suites, 58 superior double rooms, 8 presidential suites and 2 royal suites all of exceptional quality, each suite has; telephone, air conditioning, satellite television, mini bar fridge, tea and coffee facilities, microwave, safety deposit box, complete bathroom and a balcony or terrace of ample proportions. 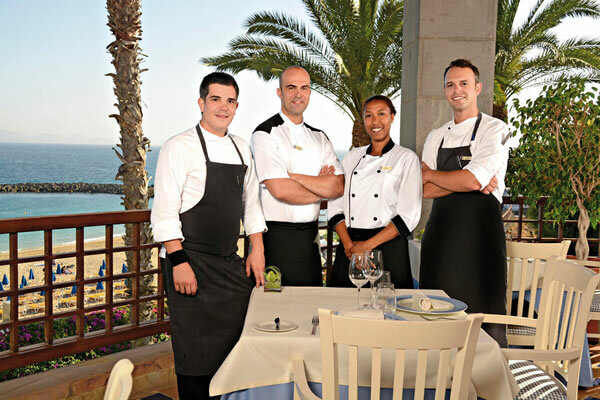 The hotel's main restaurant offers a varied buffet service for breakfast and dinner, sometimes with show cooking and theme nights. In addition to the excellent buffet restaurant there are several themed restaurants including Japanese and Italian as well as the Gourmet restaurant Los Lobos. There is a poolside snack bar offering light lunches and drinks throughout the day, and a lounge bar for the evenings. The hotel offers live program of evening entertainment during the week. 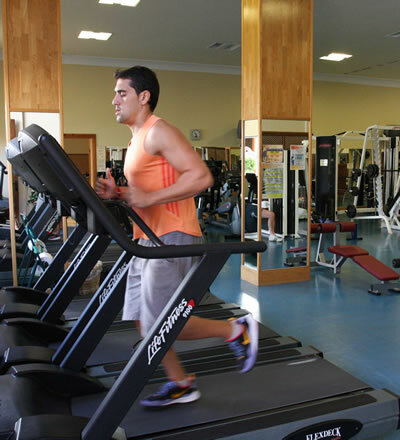 Sport Center Princesa Yaiza provides a set of facilities that will let you enjoy a full and efficient training. For that purpose they have an up-to-date range of cardio workout machines, as well as a full and renewed strength area. The Sports centre also has heated indoor swimming pool, sauna, tennis and paddle tennis. Away from the gym guests can enjoy; 2 outdoor swimming pools one freshwater and one salt water, separate children's pool, outdoor Jacuzzi, 2 squash courts, indoor tropical gardens. You can visit the hotel's Spa Resort with Thalasso therapy, massage, hairdresser and boutiques. The Princesa Yaiza Suite Hotel Lanzarote provides live music or professional shows every evening in the Mencey bar. 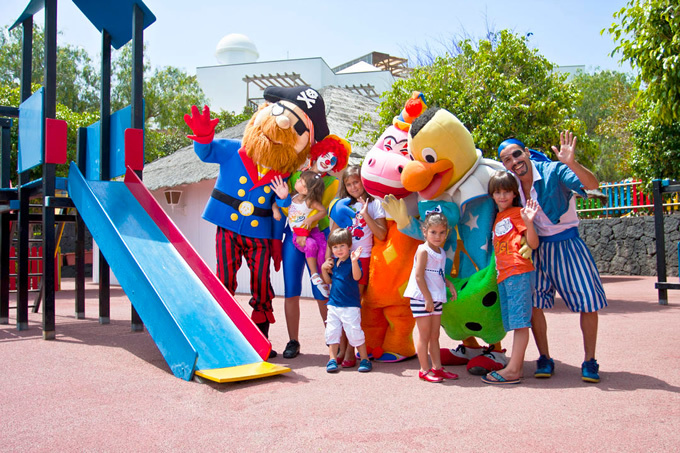 The hotel also caters for families with children of all ages there is an entertainment programme for them and the Kikoland play area is equipped with the very best in children's leisure facilities.